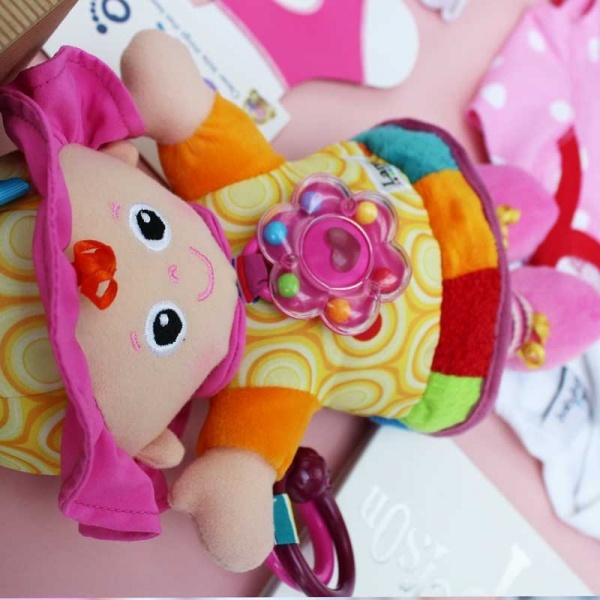 The Ultimate Luxury baby hampers for girls is crammed with a hand-picked selection of fabulous baby clothes, toys and baby accessories. Toby Tiger Romper suit - a designer everyday outfit by cool brit brand 'Toby Tiger'. 100% organic cotton in age 0-3 months, this is a really beautiful little item of clothing. Baby Memories Book - a modern take on a traditional baby book. 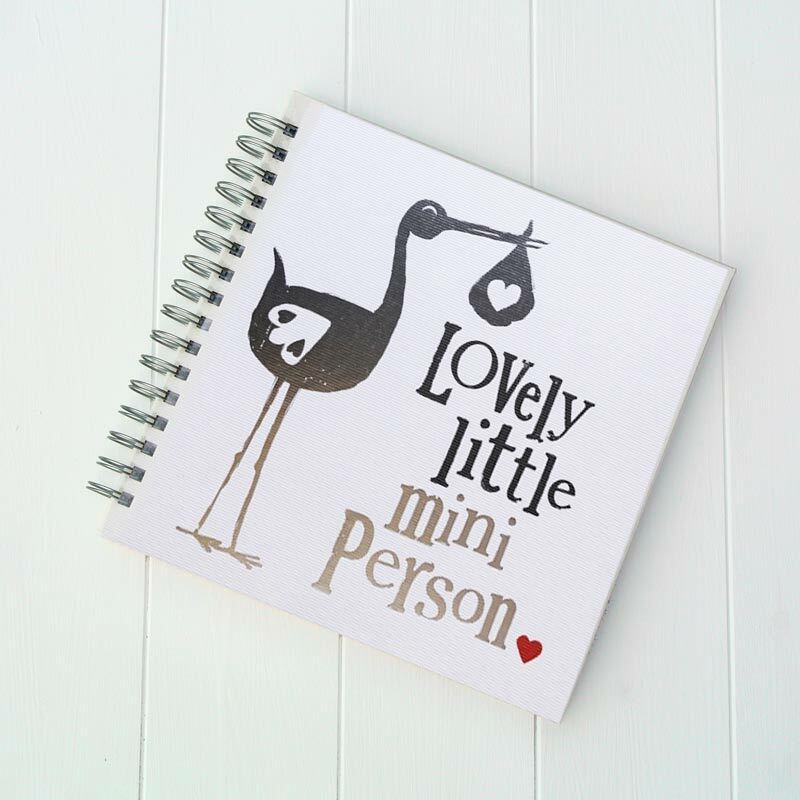 This keepsake has pages for milestones as well photographs and keepsakes, with quirky annotations on each page. 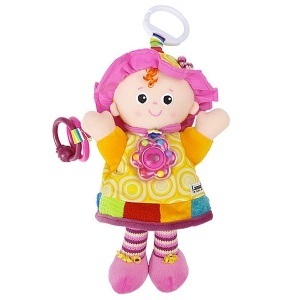 Lamaze 'My friend Emily' - a soft and cute toy dolly great for entertaining babies on the go or at home. 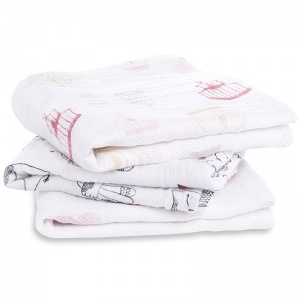 Features contrasting bright colours, textures and prints to stimulate baby's senses. 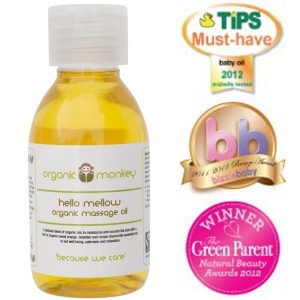 Organic Monkey massage oil - an award-winning baby oil, to smooth on baby's skin for moisturisation after a bath. Delicately scented with orange oil. 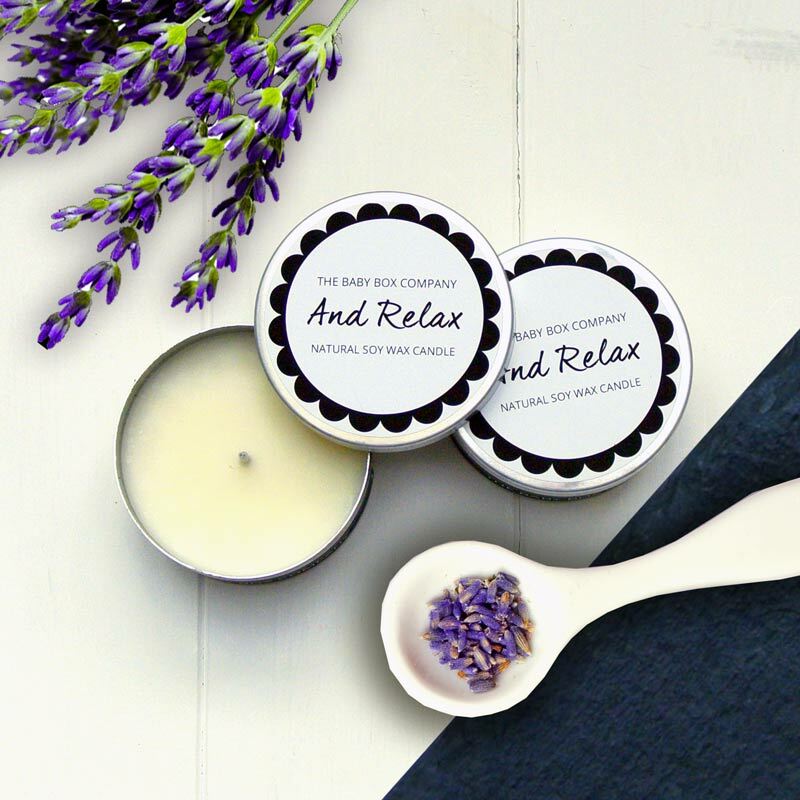 'And Relax' scented candle - a beautiful candle in a lidded metal tin, that when lit releases a soothing and relaxing fragrance, perfect for new parents! 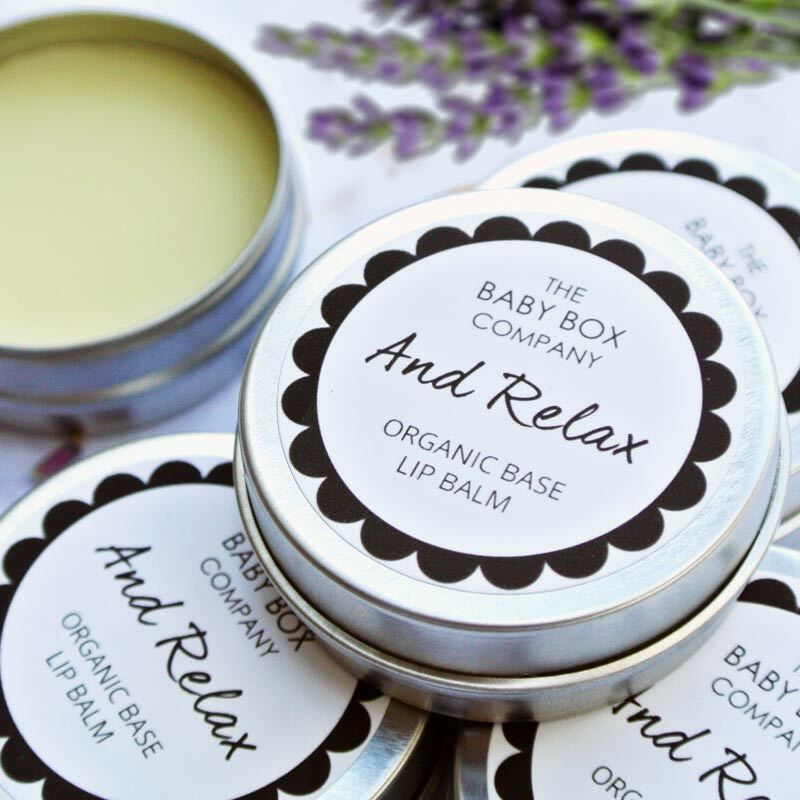 'And Relax' scented lip balm - a little luxury treat for new mums with essential oils of Lavender. 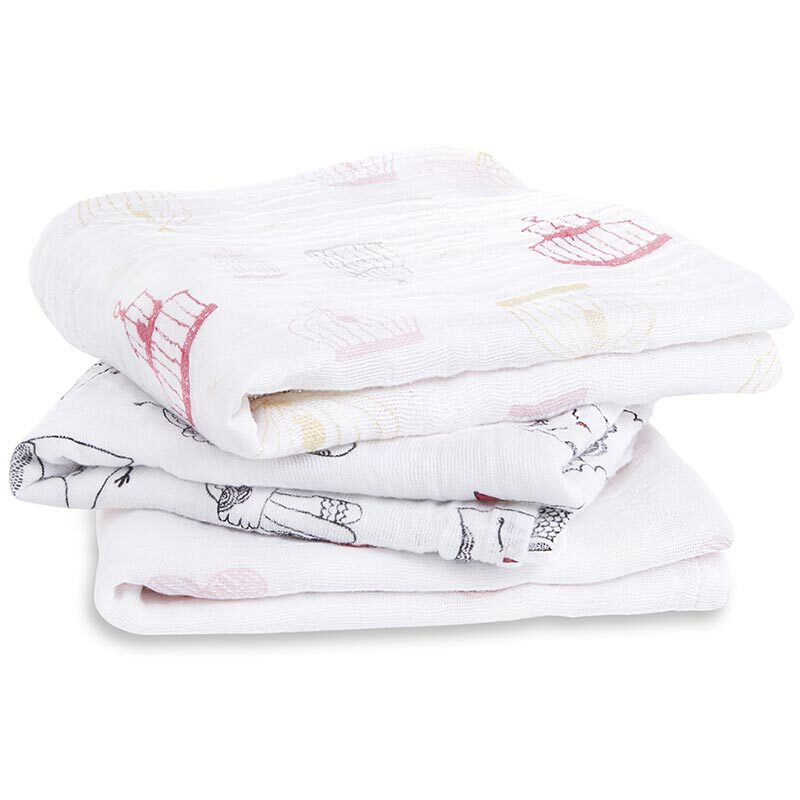 Aden & Anais muslin square - a 'musy' or muslin is a square of cotton fabric that can be used as a burp cloth, summer blanket, cot sheet to name just a few of its many uses. This one come's printed with a pretty grey and pink bird design and is from designer brand Aden & Anais. Sock On's - a great little invention to wear over baby's socks and keeps them in place, so no more lost socks. Comes in cerise pink and age 0-6 months. Bodysuit - from our own range, this one comes in white with a grey star print. Ideal to wear as a base layer, cotton and in age 0-3 months. Knotted Hat - an essential item for any newborn. in pure white, to match all the other clothing in this box and age 0-6 months. 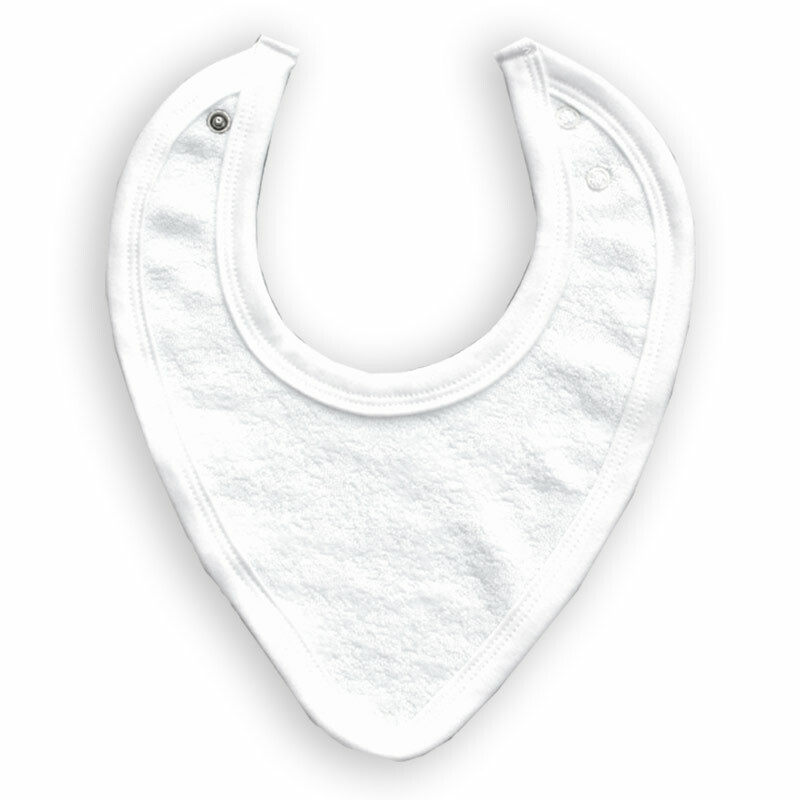 Bandana Bib - a new style of bibs, to be worn day to day and works as a dribble bib, keeping clothes dry. 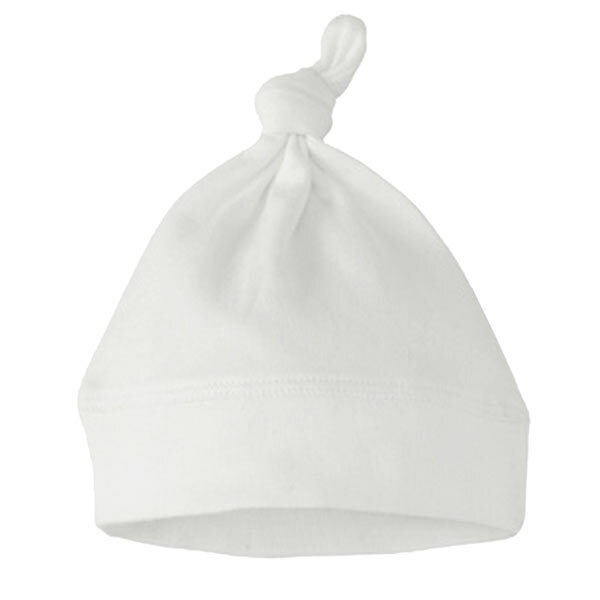 In pure white and age 0-12 months. 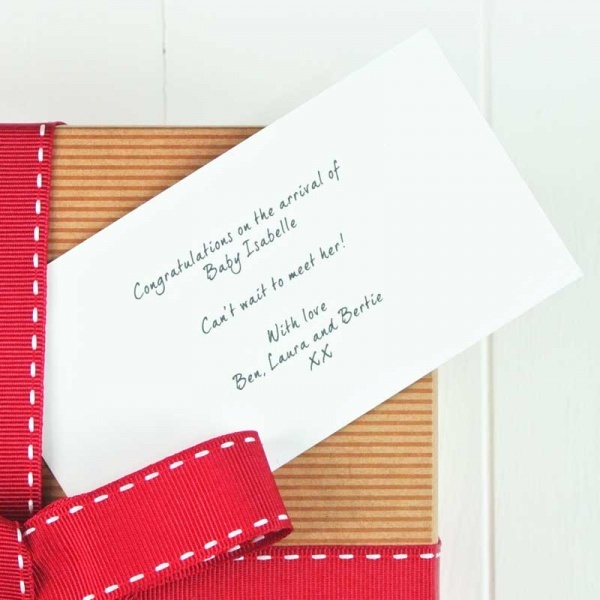 This is all carefully hand gift wrapped in our unique Baby Hamper Company FREE luxury wrapping ad box, and finished with our signature big red bow. 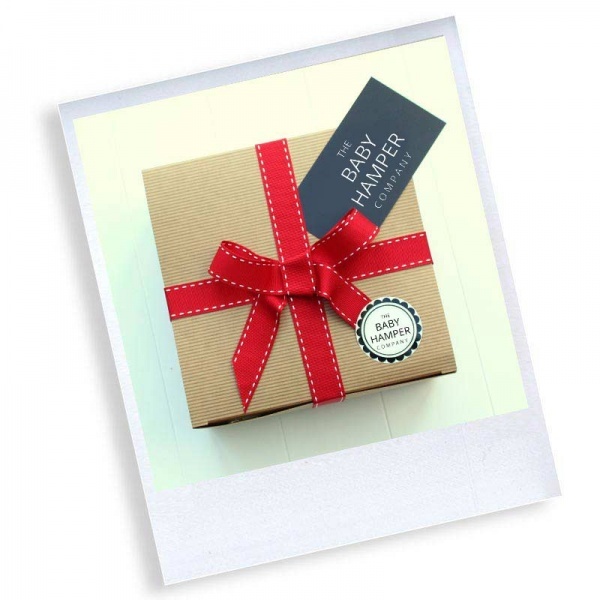 THIS BOX COMES WITH FREE STANDARD UK DELIVERY!